The boats in the foreground are used for fishing in the Lower Ley. There are Pike, Perch, Roach, Rudd and eels present in the Ley. 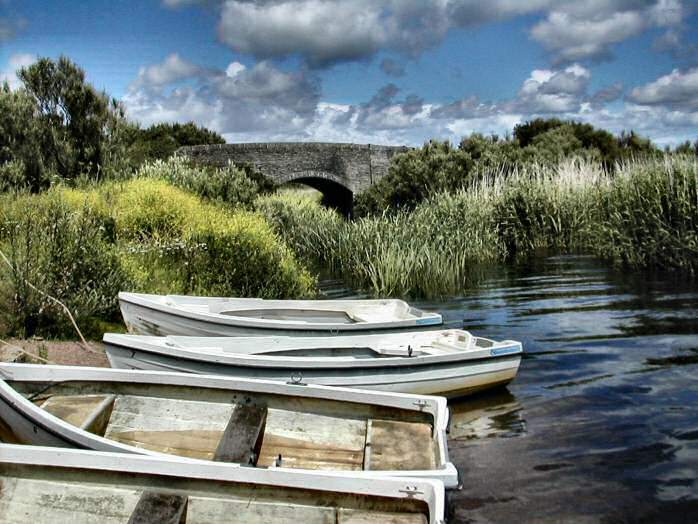 Only persons who hire boats are allowed to fish and all fish must be returned to the Ley as it is not stocked. People are not allowed to fish from the bank and outboard motors are also not allowed. The fishing is managed by the the Field Centre in Slapton Village to ensure minimal impact to the Ley as a National Nature Reserve. All enquiries to fish should be directed to them (telephone 01548 580685).